What does maritime provinces mean as a name of something? Maritime Provinces a.k.a. The Maritimes: The Maritime provinces, also called the Maritimes or the Canadian Maritimes, is a region of Eastern Canada consisting of three provinces, New Brunswick, Nova Scotia, and Prince Edward Island. 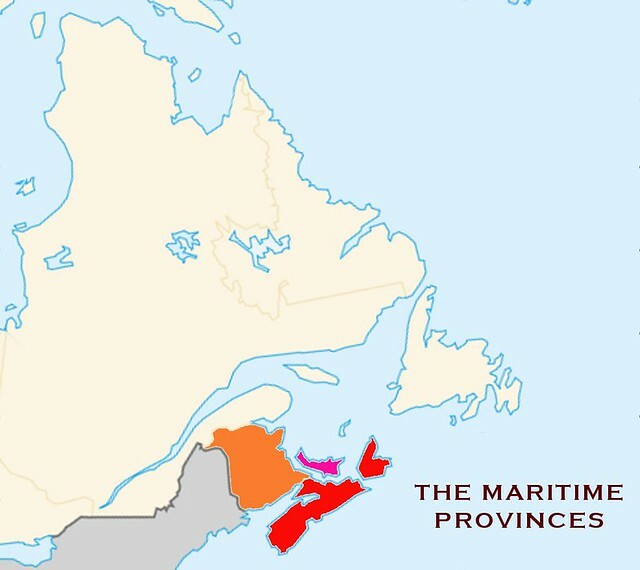 On the Atlantic coast, the Maritimes is often mentioned in conjunction with the northeastern province of Newfoundland and Labrador; together they represent Atlantic Canada. The population of the Maritime provinces was 1,813,102 in 2011. MARITIME PROVINCES, the name commonly given to the three maritime provinces of Canada, New Brunswick, Nova Scotia and Prince Edward Island. Video shows what Maritime provinces means. The region of Canada comprising the provinces of New Brunswick, Nova Scotia and Prince Edward Island. See also the pronunciation examples of Maritime Provinces! Go to the usage examples of Maritime Provinces to see it in context! This page was last modified on 30 April 2018.